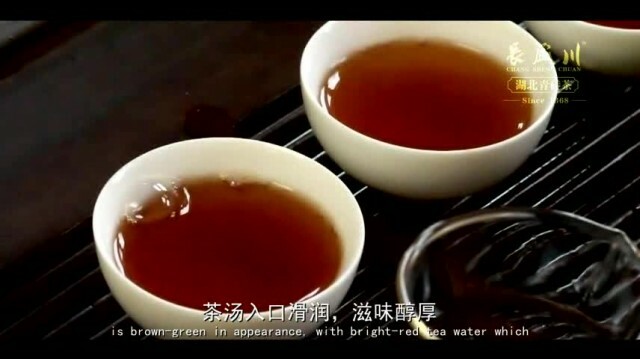 In recent years, Xin Ding has responded to the call of the times to redefine the traditional chin-brick tea. We developed a series of instant drinks, such us "Pyramid Tea Bags" and "Granules Tea Bags", it's bring a convenient way to you to enjoy chin-brick tea at all time. Meanwhile, we following the traditional techniques of chin-brick tea, pressed 350g,600g and 1200g classical tea brick, by raw juice fermentation and natural aging, the tea smells more fragrant, taste more mellow. In addition, there is a gift box series: chocolate-cake brick tea - eight moralities, which is not only convenient for drinking, but also contains rich Chinese culture. Drinking chin-brick tea could quench your thirst, protect your stomach, lose your weight and help you go to sleep. At present, Changshengchuan Hubei Chin-rick tea is mainly sold to the northwest regions of Inner Mongolia, Xinjiang, Tibet, Qinghai, and Mongolia, Georgia, Russia, and the United Kingdom. Bringing environmentally friendly and healthy products to the world is a belief that we always insisted on. Welcome to Yichang, you could visit the Three Gorges, see the dam, then drink a cup of our Changshengchuan Hubei Chin-brick tea together!